Sanidine is a potassium-rich feldspar which is related to amazonite (microcline) and orthoclase by its chemistry. Sanidine gems that display adularescence, a mystical internal glow, are called moonstone. 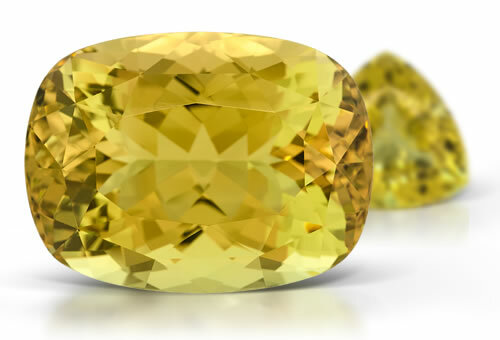 Colorless to yellow and pale brown gems have been found in Germany, Mexico, and Madagascar. Sandine is a monoclinic disordered orthoclase. Some stone show low levels of radioactivity.